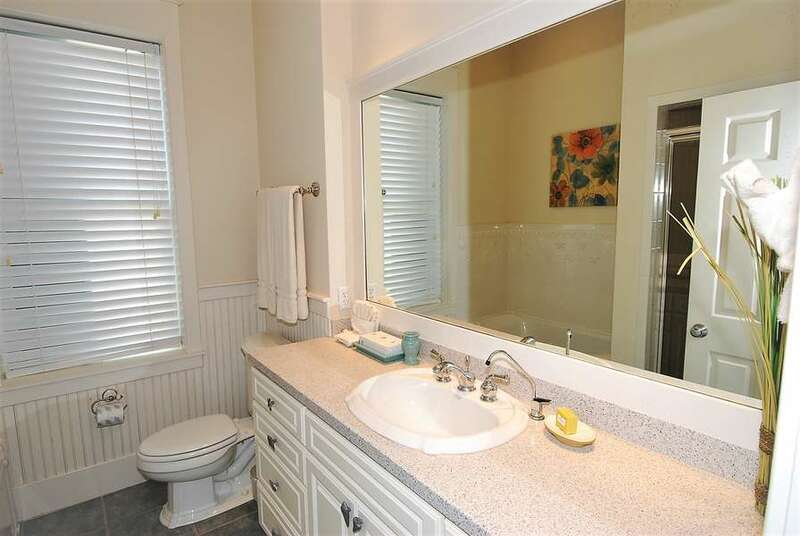 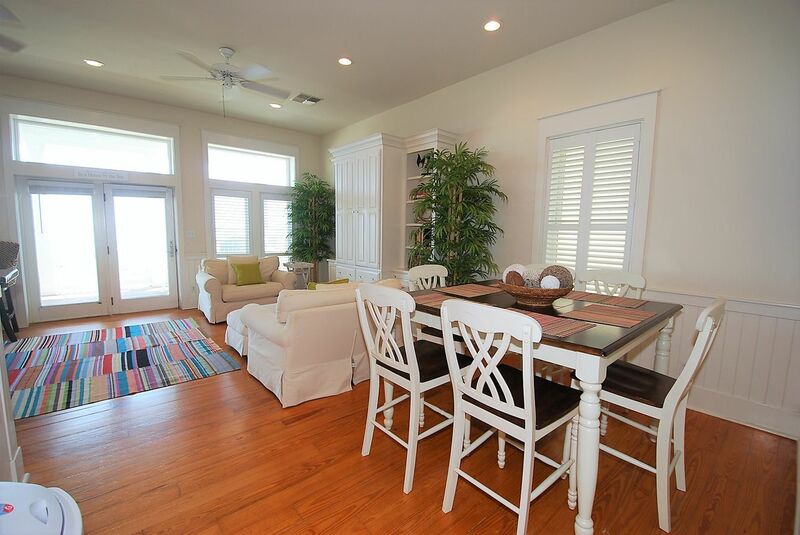 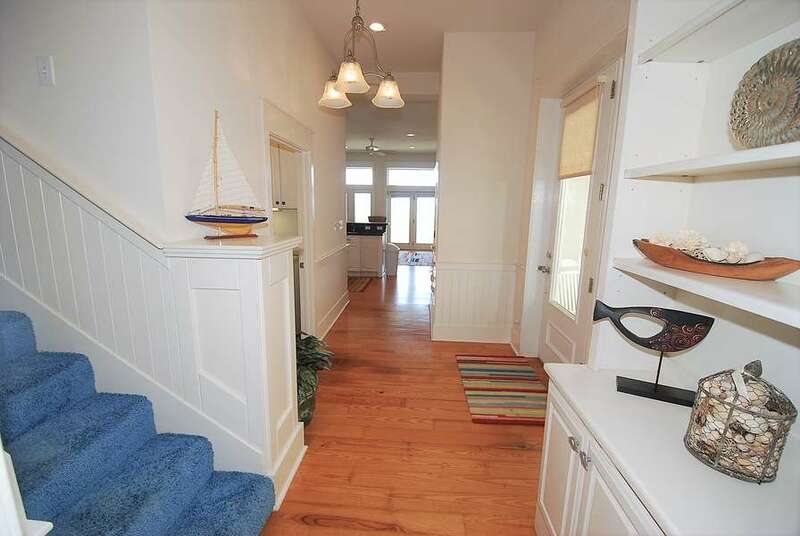 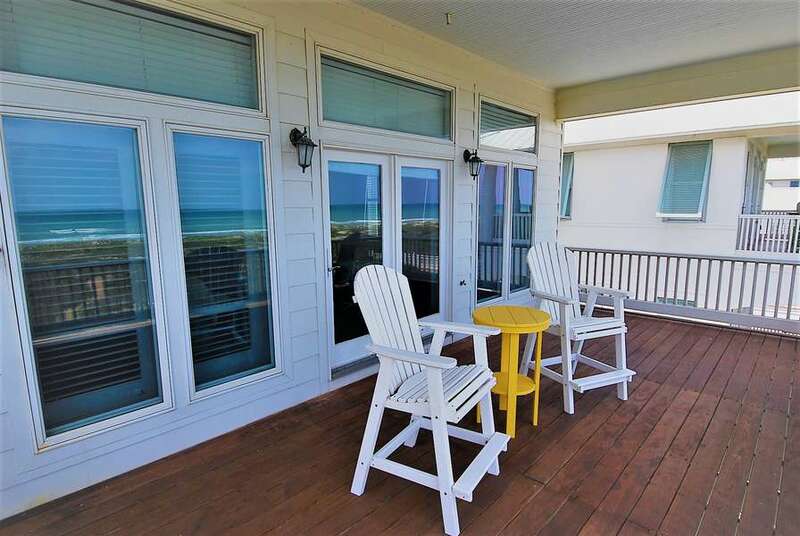 "Paradise Found" is exactly what you can expect when you rent this three bedroom three bath private beach house within The Shores Subdivision. 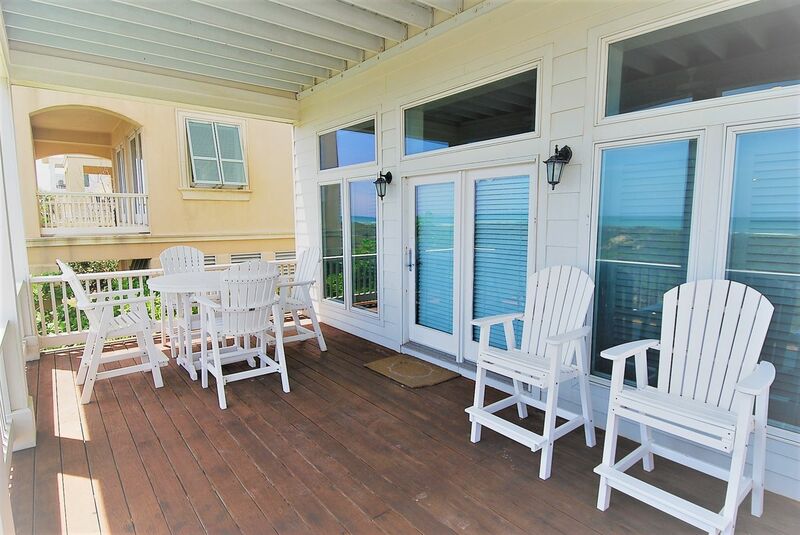 The house offers sleeping arrangements for up to 8 persons with premium beds and linens, a fully equipped kitchen, cable T.V. 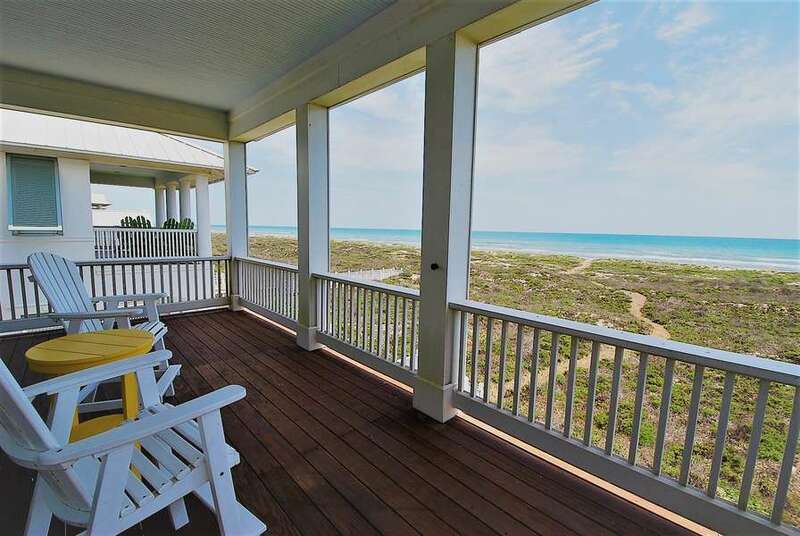 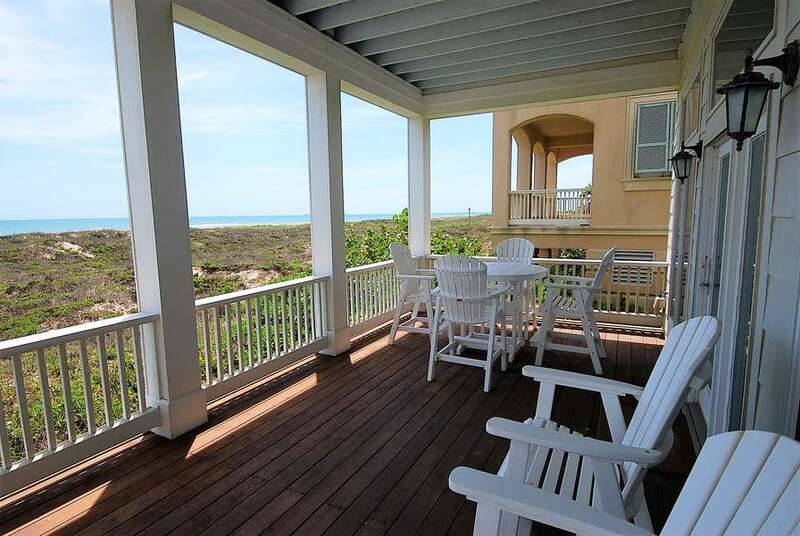 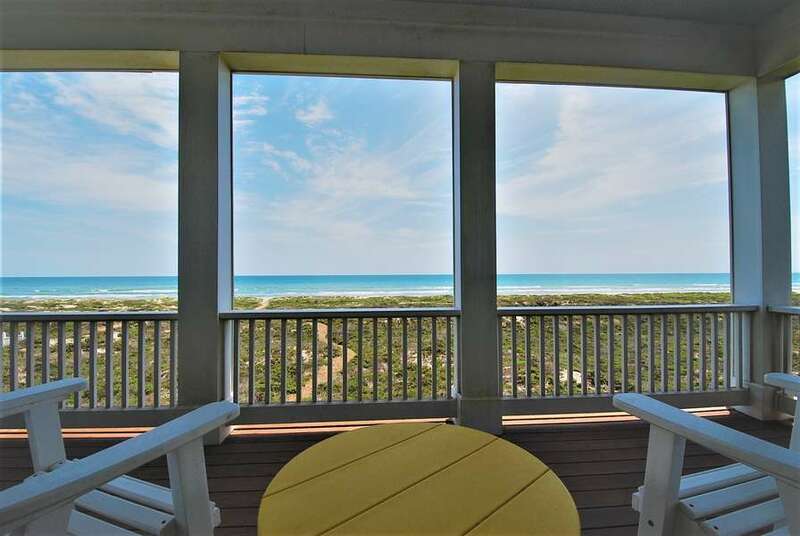 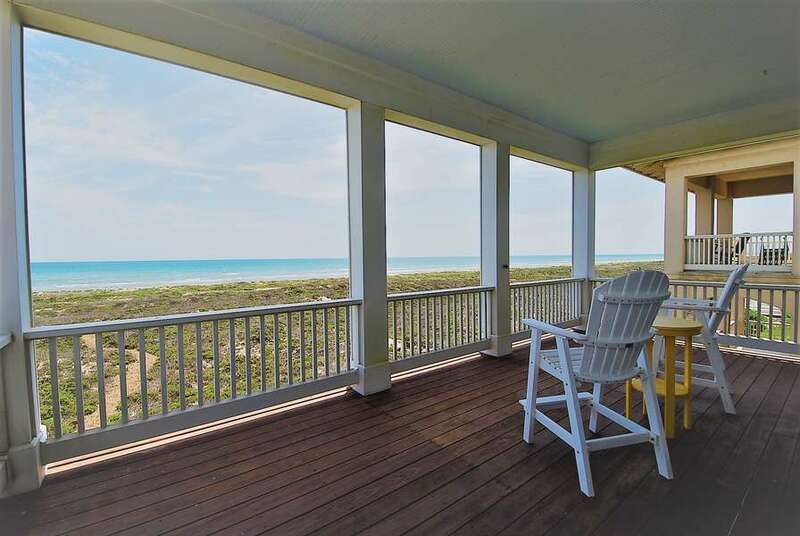 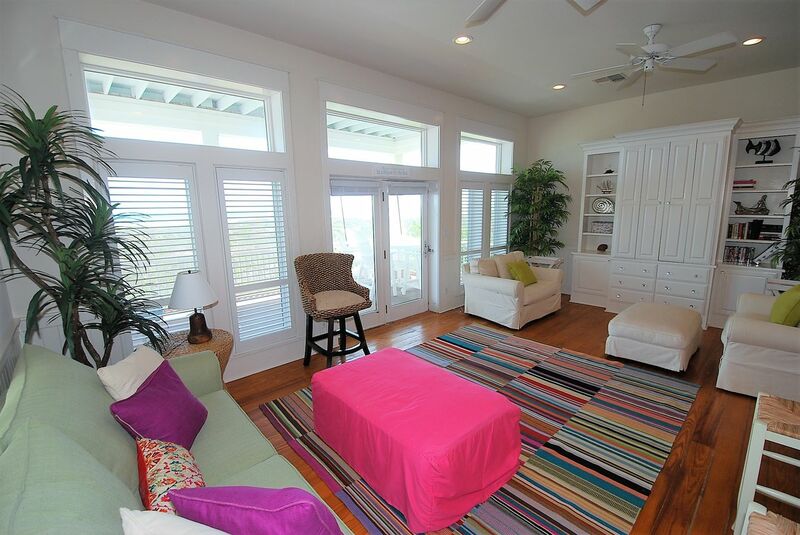 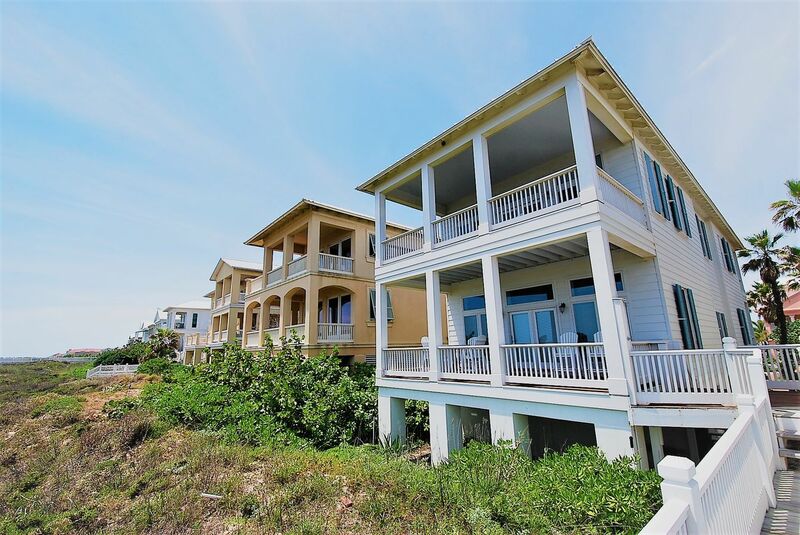 WIFI, stereo, washer and dryer, propane grill, private beach access and pristine views of The Gulf of Mexico. 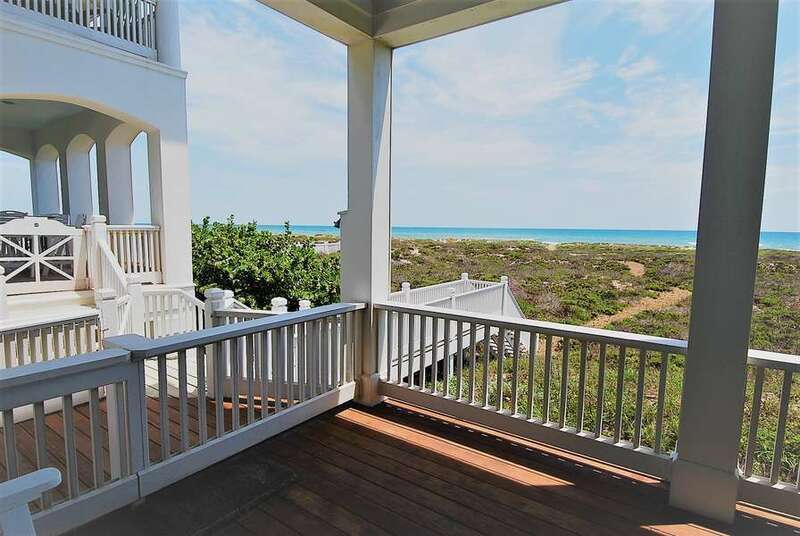 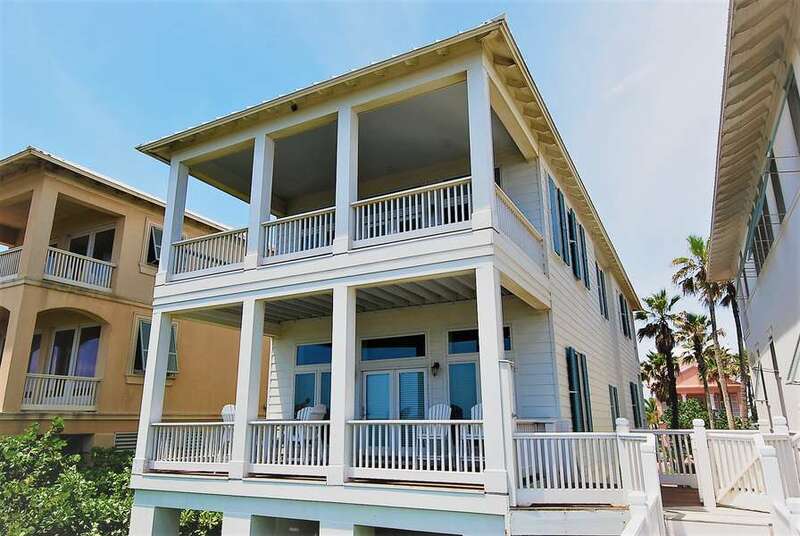 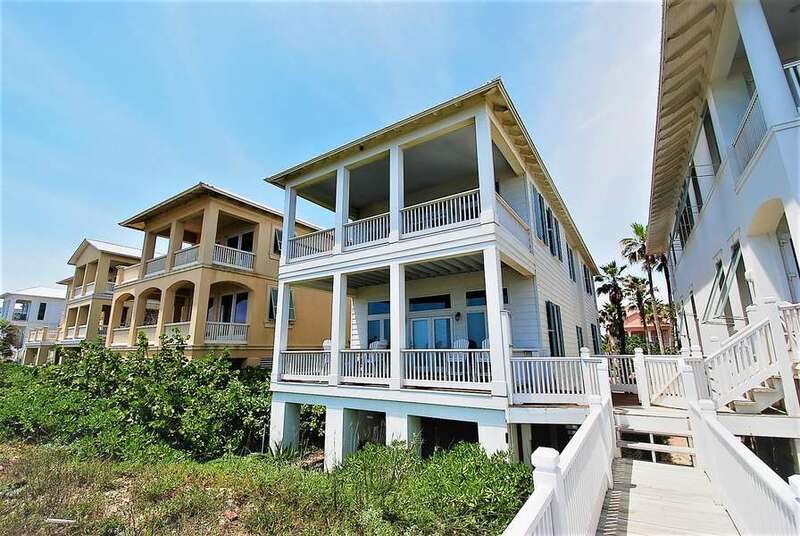 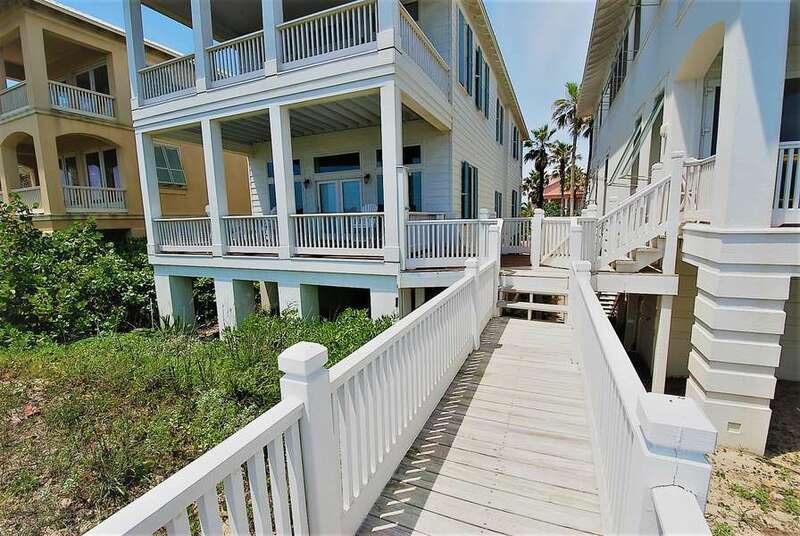 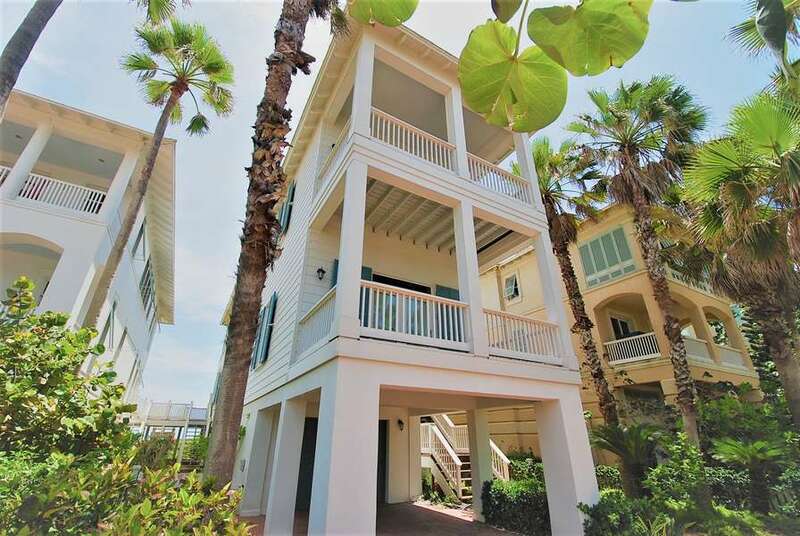 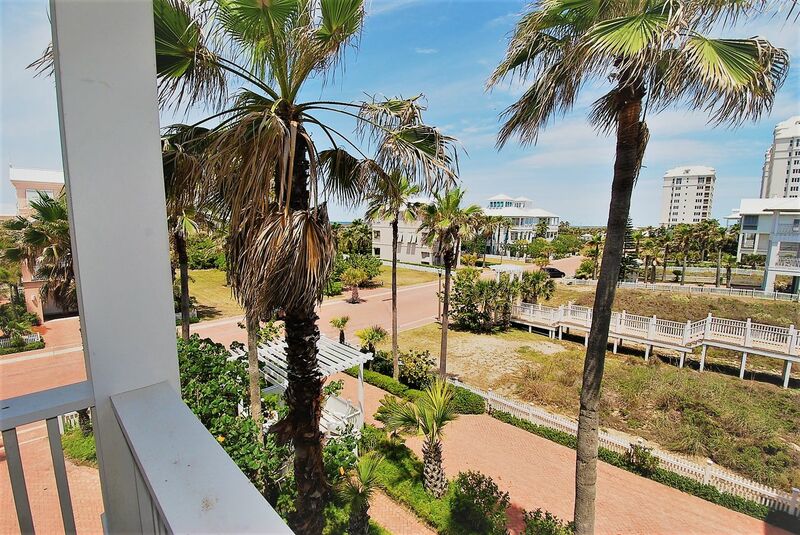 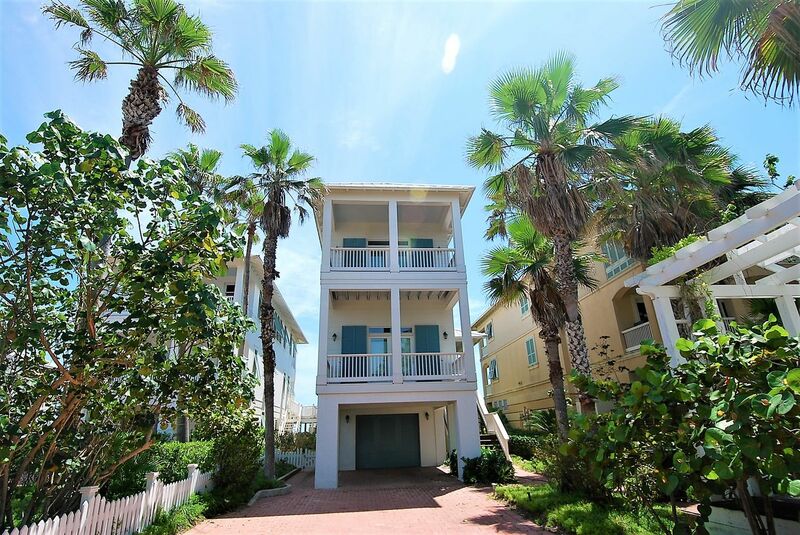 On the ground level of this 3 story beachfront home, you will have access to the garage and the stairway leading up to the second floor. 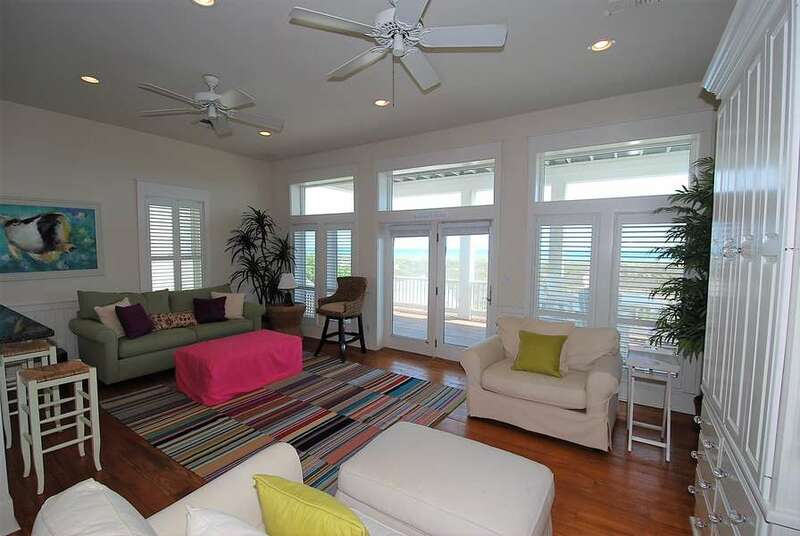 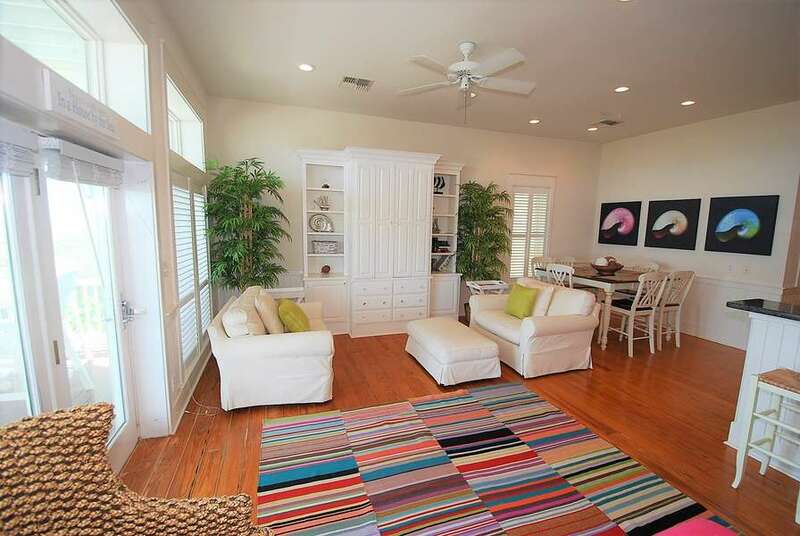 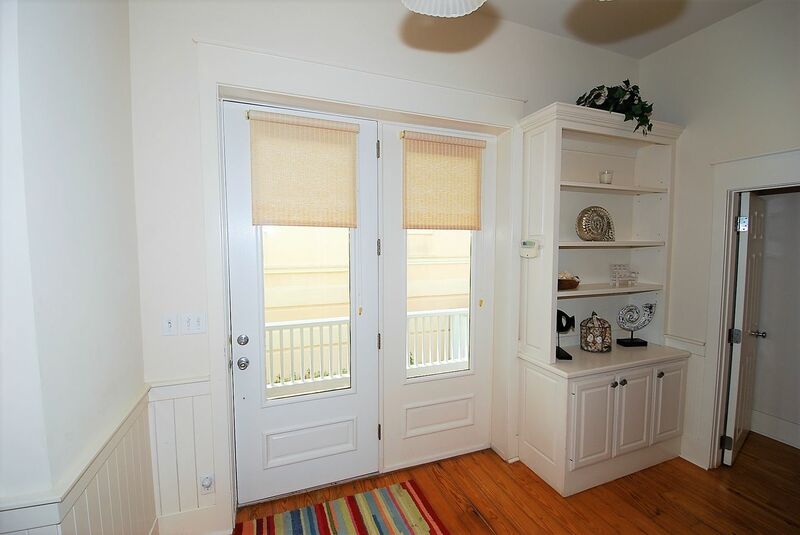 On the second floor, you will find the main living area, one bedroom and a restroom. 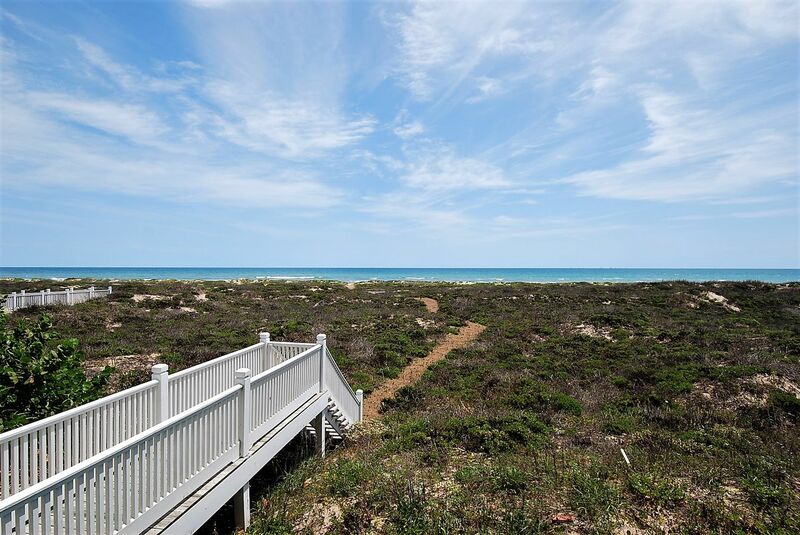 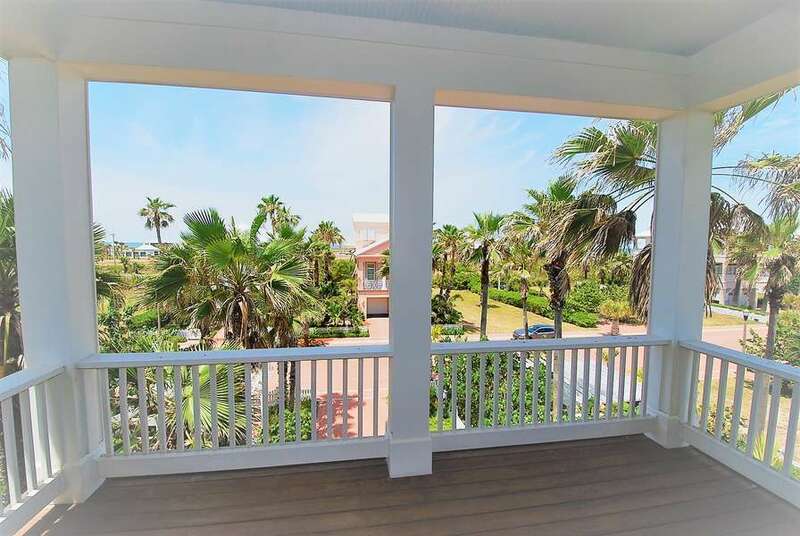 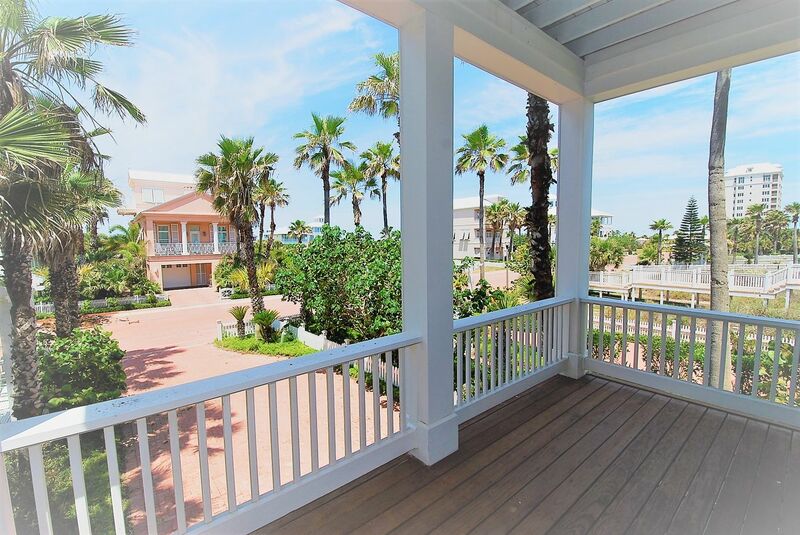 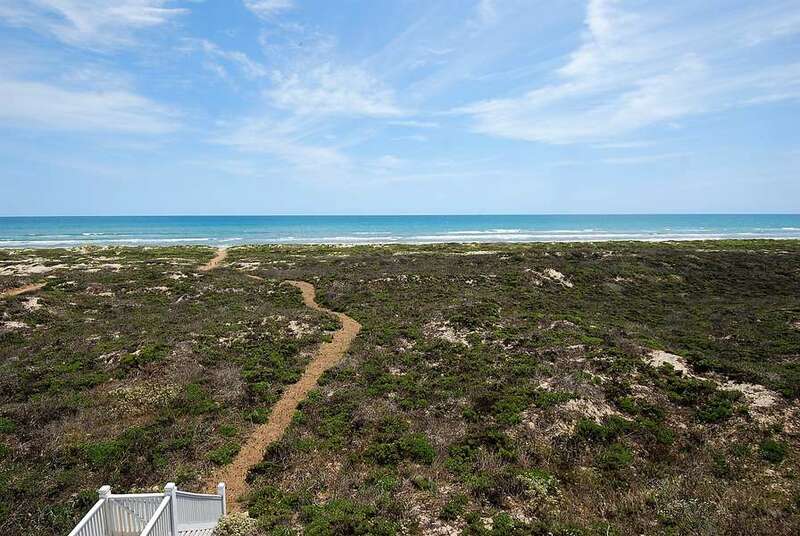 It has a spacious open floor plan and you can enjoy the beauty of South Padre Island's sparkling blue waves crashing onto the banks as you watch T.V., cook a family meal or while eating together at the dining room table. 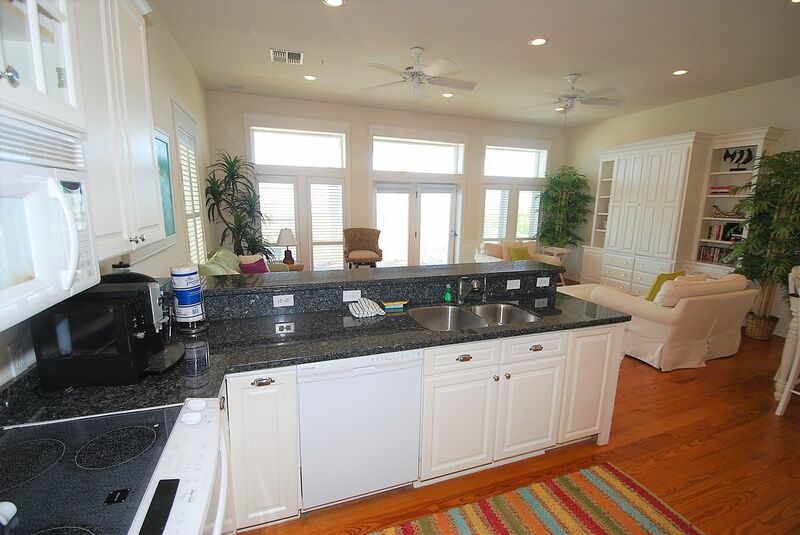 The kitchen provides all cookware and utensils, dishwasher, microwave, refrigerator, blender, toaster, latte machine, Keurig coffee maker and a three seated coffee bar. 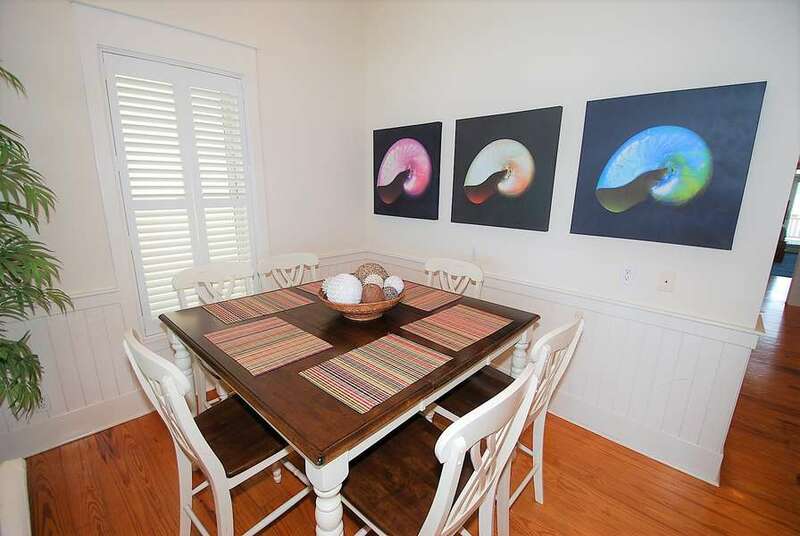 Accompanied beside the coffee bar you will find a 6 person dining room set. 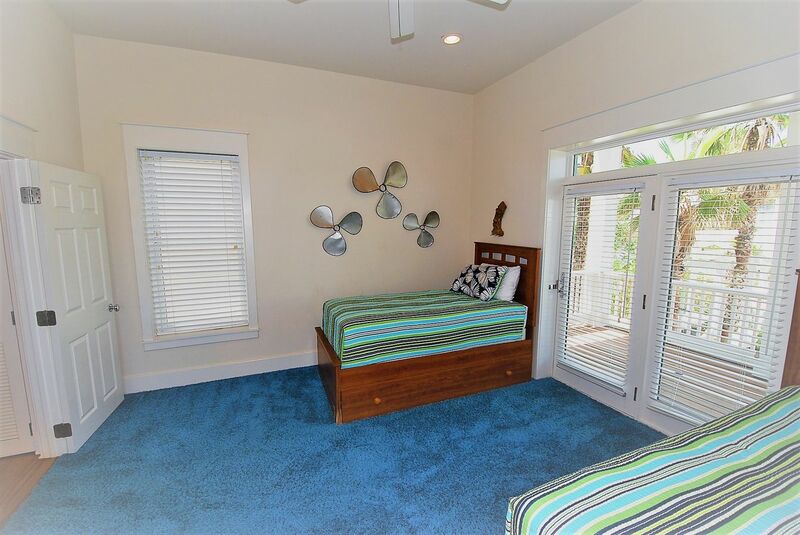 The bedroom on this level has 2 twin size beds with 2 twin size trundle beds and balcony access to sit out and relax in the breeze. 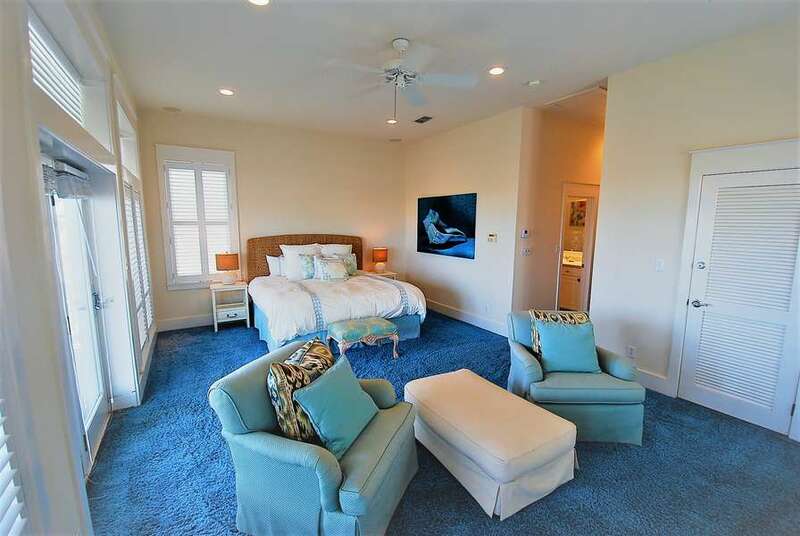 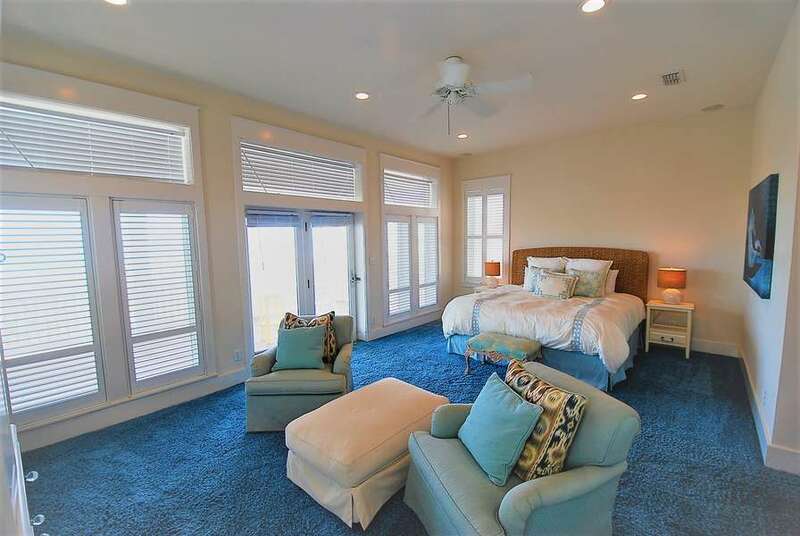 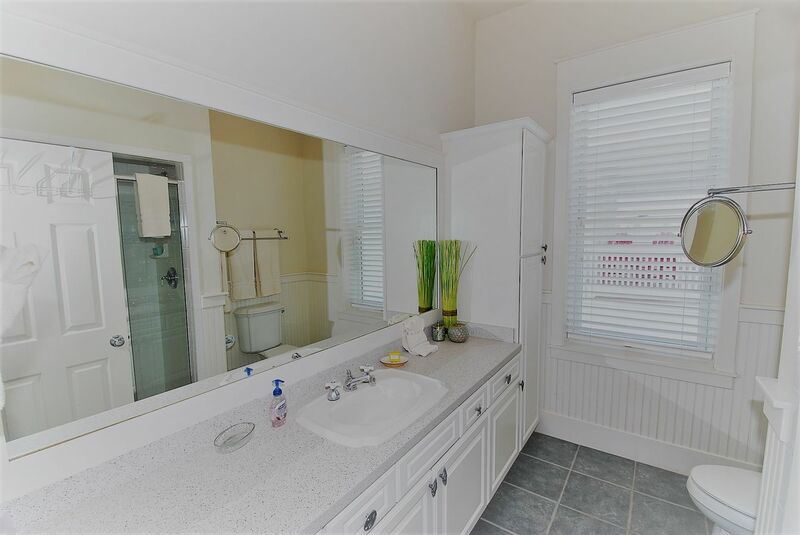 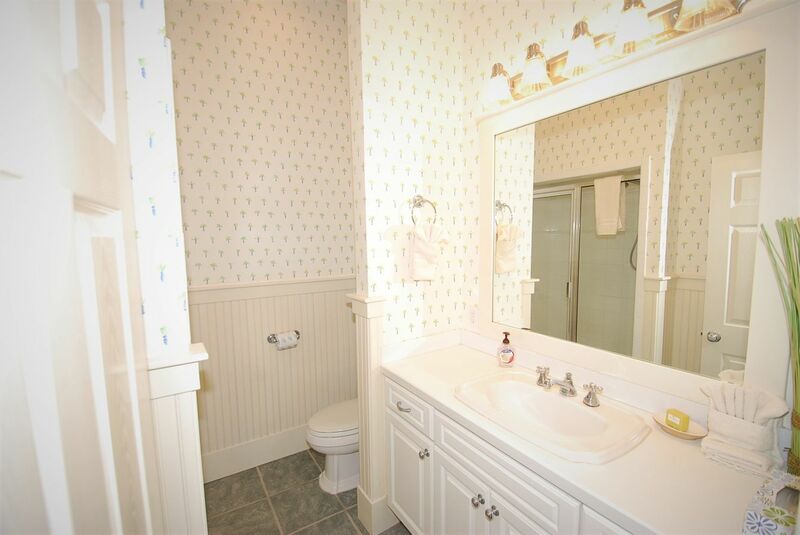 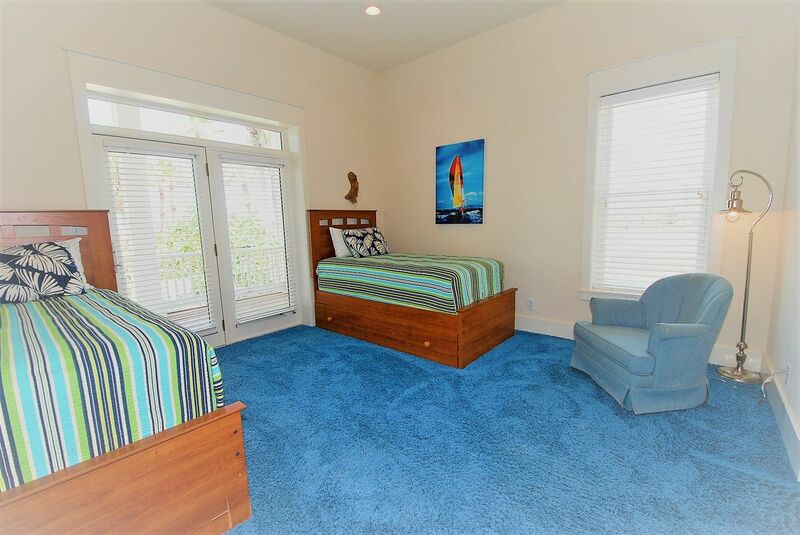 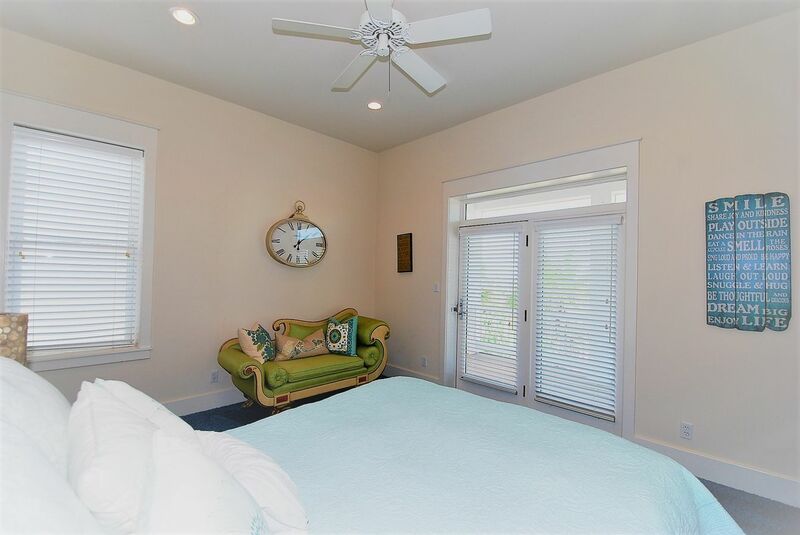 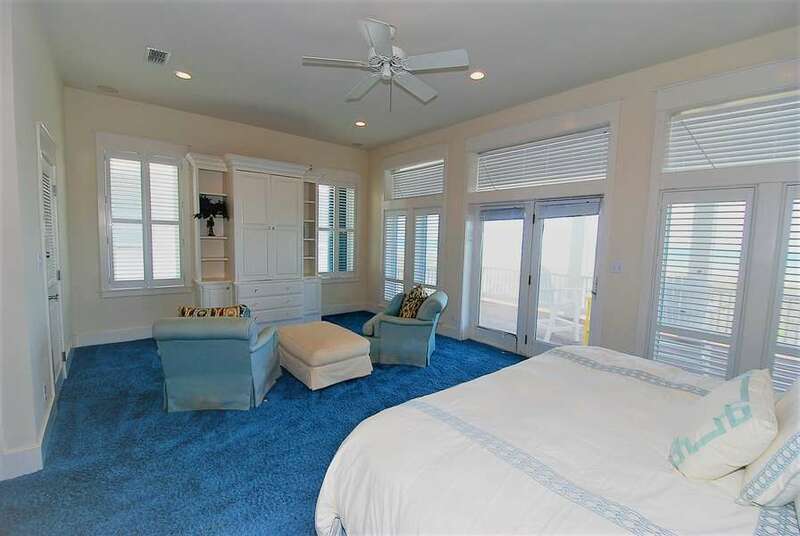 On the third floor, you have the master bedroom with a king size bed overlooking the morning sunrise, the master bathroom, a guest bedroom with a full size bed and the guest bathroom. 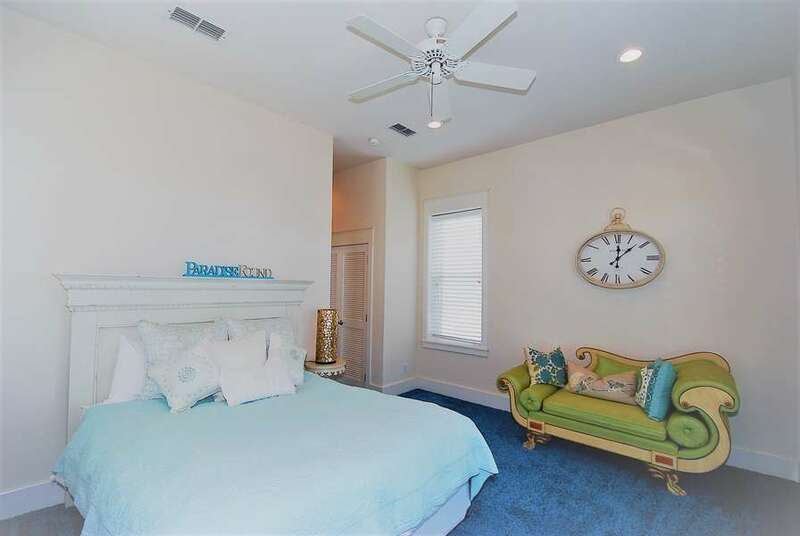 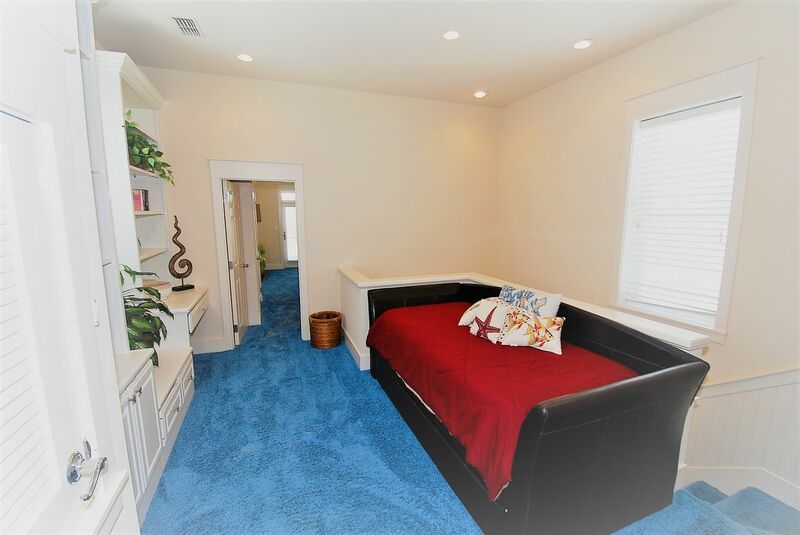 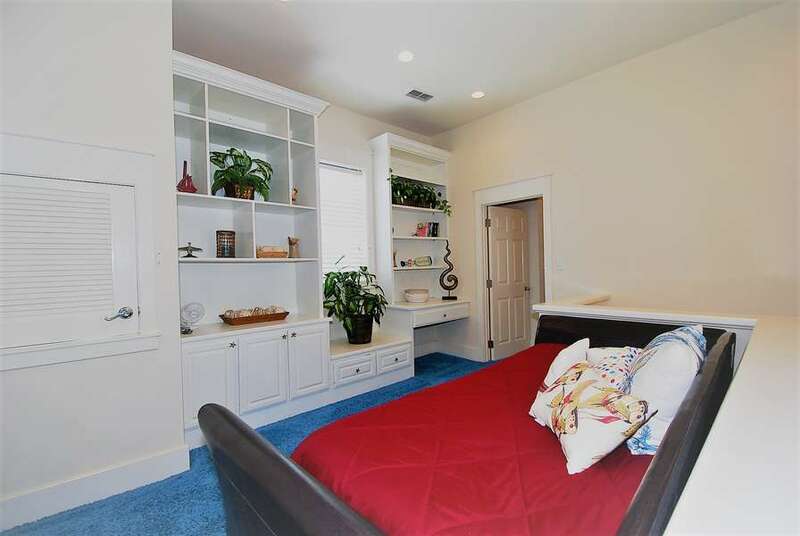 In between the 2 bedrooms on this floor, there is a twin size day bed for additional sleeping.